Legendary New York producer Lenny Dee reveals his signature essentials in Drumshots Vol. 3, the latest chapter in ISR's encyclopedic collection of analog, digital, and live drum samples to kick the pulse of your productions through the roof. 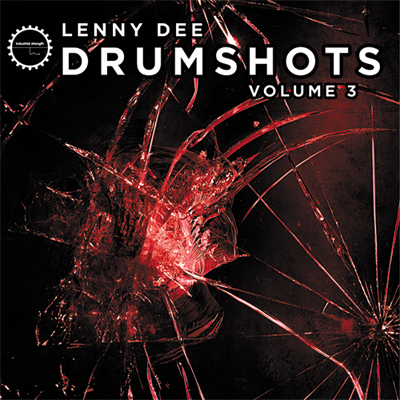 Lenny Dee crafted these samples from his personal collection and culled them from more than two decades of material to bring you the drum sounds that have induced countless crowds into booty-shakin' synchronization. Known for his proliferation across genres, Lenny Dee brings you options, options, and more options for use in virtually any style you put your mind to, including Techno, Hip-Hop, DnB, Dubstep, Pop and underground electronic. Mr. Dee stops at nothing to achieve his all-original, pro drum sounds. These 24-bit 44.1-kHz wav samples were recorded through myriad means and measures, with gear from the SSL E and G Series, Neve, Amek, Harrison API, Sound Craft, right on down to lo-fi Mackie and DJ mixers. Shots were also made in-the-box with modern software, and some were even captured on tape for that extra-warm tone. If you're ready to completely nerd out in the land of percussive opportunities, check out the entire Drumshots series; you'll never be at a loss when it comes to laying down syncopated 16th's, gut-kicking quarters, and all the punches in between.